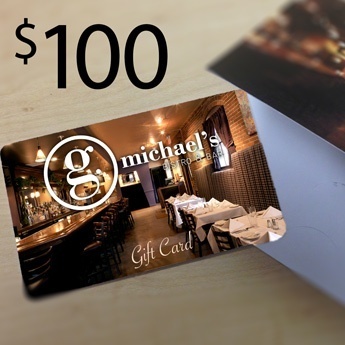 G. Michael's Bistro and Bar Gift Card is the perfect gift for any food lover. This Gift Card can be mailed to you or your recipient. Your Gift Card is placed inside a G. Michael's branded envelope. ©2016 G. Michael's Bistro and Bar, All Rights Reserved. Website by Dot The i Creative.